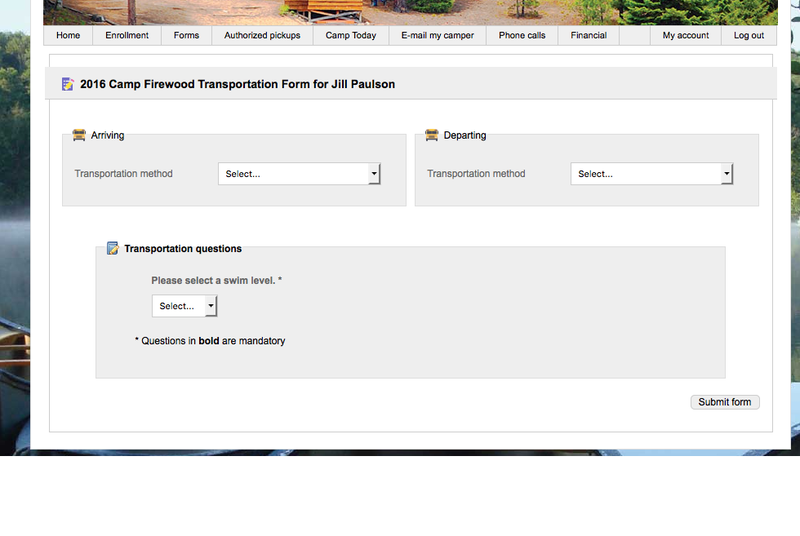 You may choose to include transportation forms for Session Groups during the camper enrollment process. 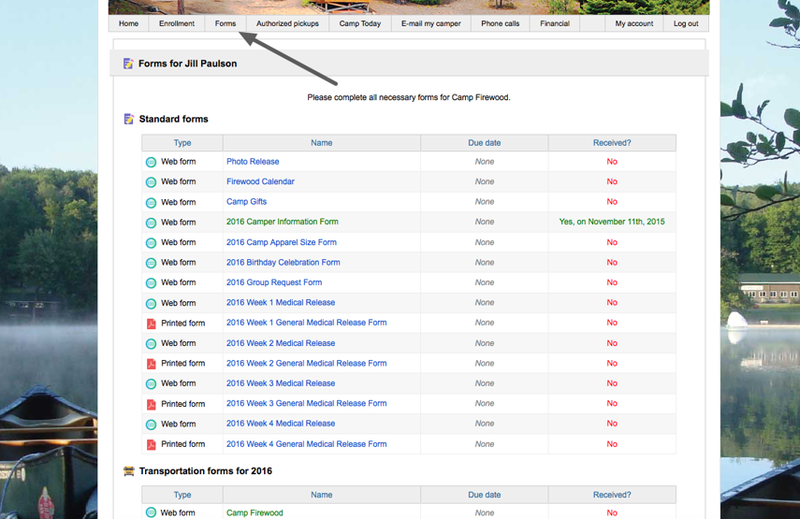 If the Transportation Form is included in the enrollment process, the Forms tab will appear if a camper enrolls in a session within the session group. One transportation form will be listed for each of the camper's session groups. The parent selects the arriving and departing transportation options, and can answer custom questions that can be created from the Transportation Dashboard > 2016 Session Group page.